If you have any questions or want to enquire about dates, use our form to contact Giorgio & Ilaria or see their website for more information. Along the rolling ‘strada bianca’ through vines, olives, oak woods, down the cypress-lined drive (the family’s vineyards on either side), through stone gates… to an elegant, well-proportioned country villa and heart-stopping, Giotto-esque views. The ochre walls have mellowed over time and the outbuildings glow in the evening sun. Ilaria (receptionist) or Giorgio (chef and wine expert) will greet you and take you to your room. It will be chestnut-beamed, furnished in relaxed style and overlooking a hill town of your dreams (Montepulciano, Monticchiello, Pienza…). Mouthwatering aromas assail you so make sure you’ve booked in for dinner; it is served at pink-clothed tables in an intimate dining room on the first floor or on the gravelled terrace. Don’t miss the estate’s excellent wines. There’s no communal sitting room but bedrooms are large enough to have seating areas or terraces and bathrooms flourish thick white towels (and, in one, British fox hunting scenes on the walls!). In the gardens are two swimming pools, boules, pots spilling flowers – and seats for those incomparable views. Dinner on request. Restaurants 2km. 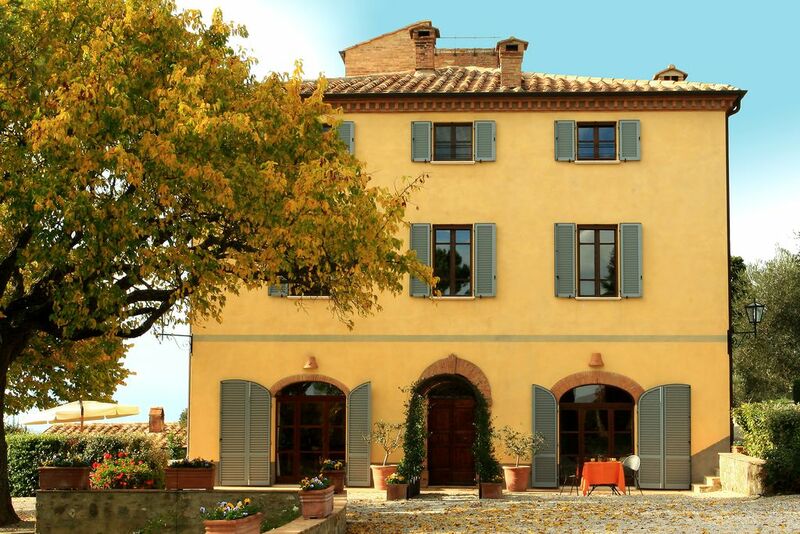 Have you visited Terre di Nano? Be the first to leave a review.